Are you a licensed guide? Have you heard about TSL but haven’t thought of joining? Look here for more information about TSL membership and come join us! How do I become a TSL member? You must have a valid Local Government issued Guide’s License to become a member. It is illegal to be a professional guide without that license. Membership applications are distributed at our annual renews, you may renew your license in our local TSL Center around the world. You may also e-mail info@tslo.org to confirm the location and time.You have to pass the TSL Course and Exam along with a copy of your current Guides License and an exam fee in the amount of $75. After submission, your exam date will be scheduled with the Local TSL Center. Scoring over 70 in 100 can pass the exam. 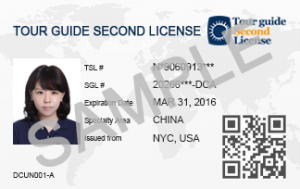 Once pass the test, new TSL card will give to you within 10 days.